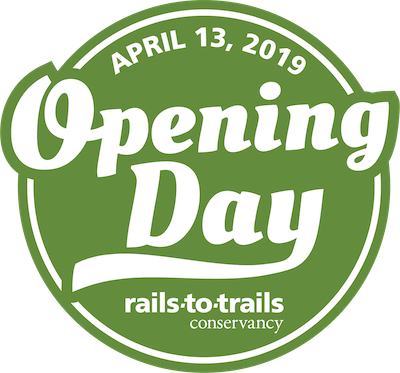 Celebrate National Opening Day for rail trails with Prairie Travelers! It’s a national series of events organized by the Rails-to-Trails Conversancy, and this year is the 7th year! Meet at the Goddard Park Trailhead of the Prairie Sunset Trail at 9 a.m. for a 12 mile round trip ride to the covered bridge and back. No registration needed. After the ride, meet at the Goddard Pizza Hut (approx. 10:45 a.m.) for lunch. Join us 12-4 p.m. for “Pathway to Ride” with Pathways Church in Goddard – a free kids bicycle clinic. Free shirts for registered youth. Register here. This entry was posted in Around the state, Events, Family Friendly. Bookmark the permalink.